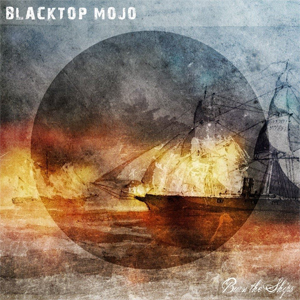 Modern Southern Hard Rock Band BLACKTOP MOJO has announced the release of their upcoming Burn The Ships LP, due out 3/10/2017 on Cuhmon Records, with the release of the first single, "Pyromaniac", which will be released on Friday, 2/10. Produced by Philip Mosley and mixed and mastered by Austin Deptula, Burn The Ships is available to pre-order NOW! Pre-Order Burn The Ships Online HERE. Formed in September 2012, armed with a simple demo and a dream, they set out to play as many shows as they could, touring and sharing the stage (with the likes of AARON LEWIS, SAVING ABEL, & PUDDLE OF MUDD, among others.) During that time, BLACKTOP MOJO’s self-released their first studio album I Am back in 2014. Time has not been wasted since their debut album release. Everything on this journey has led them to this most important moment in their career. The band's latest offering Burn The Ships is an instant rock’ n roll masterpiece featuring the soon to be classic songs “Where The Wind Blows” and “Dog On A Leash”. Produced by Philip Mosley and mixed and mastered by Austin Deptula. This latest album release will launch BLACKTOP MOJO into the elite company of some of the great rock bands of all time.